As we go, the number of WordPress themes which are made for a specific niche is increasing. Sometimes finding an out of the box design which makes your business stands is hard and you may find yourself wasting a lot of time to find a proper choice. This is the reason some people ignore the new nice WordPress themes and jump to the popular existing old ones which caused we have many many similar websites these days. They all buy Avada! In this simple short collection, I’m going to introduce you a few new Health-Related WordPress themes which can be used for several sub-niches such as gym, dance, clubs, yoga, and fitness. If you run a health-related business such dance, yoga, gym, or bodybuilding and looking for a WordPress theme with a clean professional design, Aasana would be one of your best options for you. 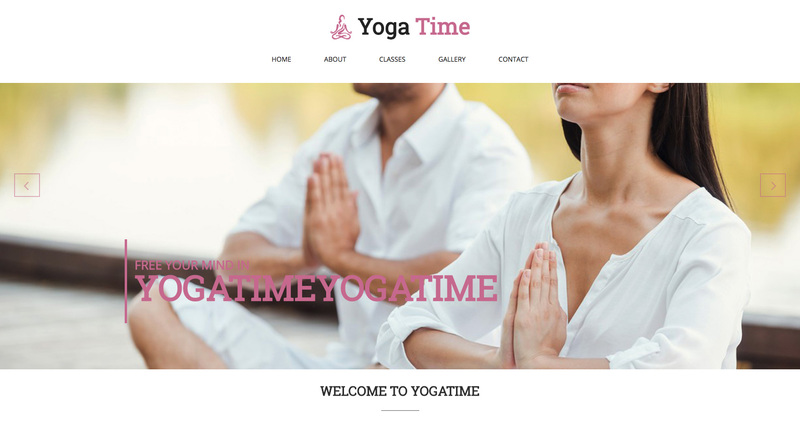 it is a clean, unique and very flexible Yoga, Dance, Fitness & Gym WordPress Theme. 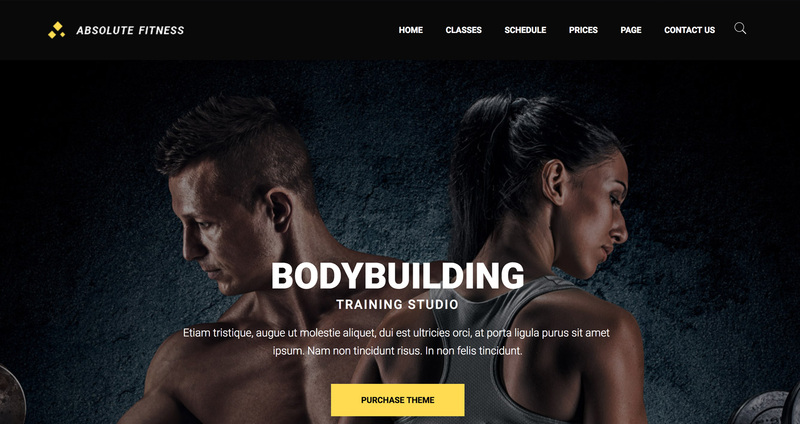 This fitness WordPress theme has all your modern new website needs. It comes with a great premium and actually well-known slider plugin – Revolution slider – plus responsive design which make your site available to tablet and mobile users as well as desktop users. Some extra features are also available that help you customize your site more including lots of icons, different layout types, ready to import templates, fonts, color options, and more. I checked some of the various homepages such as Gym, Fitness Club, Dance homepage, Health and I must say they’re awesome. They look really unique and you feel you’re getting several WordPress themes in one product. 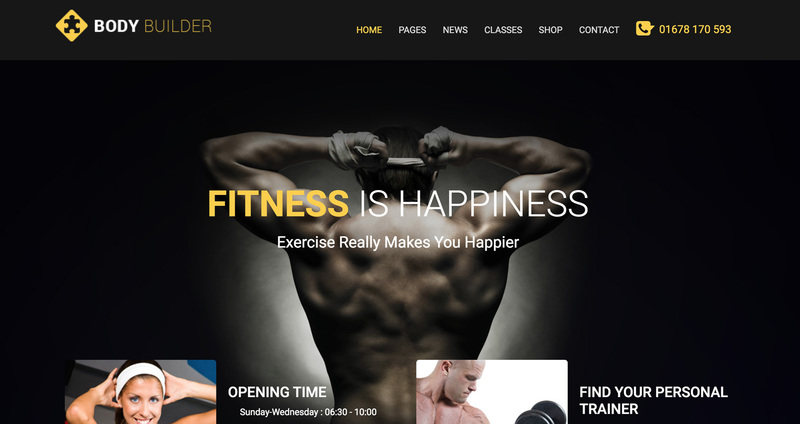 The theme title says it’s a multi-purpose WordPress theme for fitness-related agencies and that’s true, it offers a variety of homepages optimized for different sports such as BodyBuilding, K1, Fitness studios, Boxing, Crossfit, MMA, Muay Thai, Dance studios, Yoga, and personal trainer. It’s not only a theme which brings a great looking design to your website, it also comes with some fundamental functionalities for such businesses including BMI calculator, classes information, events calendar, and pricing tables. Also a cool widget for weight loosing adverts called “Before/After”. HealthGuide is generally suitable for those businesses aimed at improving people health by offering different types of services from training to nutrition. It’s also a good option for personal coaches as many of its design elements focused on presenting a personal based business. There are some features bundled with HealtGuide which helps you play with your theme and customize it with more options an power. Things like page builder, google fonts, customizer support, and revolution slider plugin. I see it’s compatible with WooCommerce – check demo – so selling assets and tools would be no problem. Body Builder WordPress theme has the basic features for a typical health-related business. It has a bold strong design which is totally related to the business. The design is not dedicated to a particular niche, so you can use it for karate, CrossFit, aerobic, gym, etc. It also offers 2 homepage layouts to start by importing the demo, great support of WooCommerce, class list view, image and gallery video for sample videos, pricing widgets, and more. 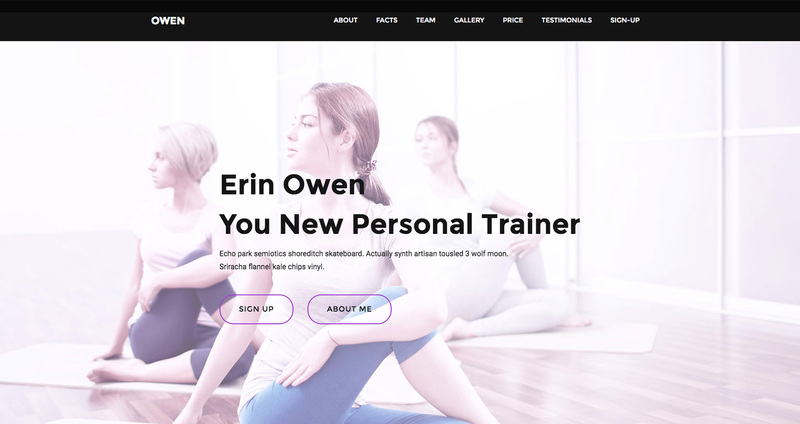 Meet Owen, a personal trainer one-page landing WordPress theme. Own is best suited for trainers in general as its design is somehow focused on it. Owen is a One-Page theme which is usually used for small websites or landing pages. As I write this post, it comes with 4 ready to use home pages which make it easier to setup your site. It also supports Right-to-Left languages such as Hebrew, Persian, and Arabic. Yoga Time has a simple right to the point design that I think gives a clear understanding of what you offer in your business. A big slider, well repetition of the main color, classes carousel widget, trainer widget, pricing, and events. I guess working with this theme must be very easy because it uses simple solutions. Check the demo and if you like the design, you may have no problem in terms of functionality if you’re not offering many online services that need more complex features.